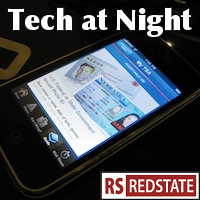 Tech at Night: Google accused of violating Net Neutrality. House chooses not to restrict NSA. This will bet he only edition of Tech at Night this week. I was out of it Monday night, and this weekend I’m traveling to Denver for SGDQ 2013. I will be there to give live on stream commentary for the Legend of Zelda and Zelda II runs, so watch and donate if you care to. House Democrats, together with a few libertarians, tried to restrict the NSA, and failed. I’m fine with this. In other news, Google is accused of Net Neutrality violations for trying to restrict servers on Google Fiber. Heh. If people can run servers on Google Fiber then they’re going to have problems quickly. So this is a very interesting case. “Those drugs aren’t mine.” “I never saw that gun before in my life.” “I was doing security research“. Ah, the excuses the guilty make, when committing crime. More Google: Possibly misleading ads in Gmail. Google pays 8.5 million bucks because they stored people’s personal habits, logged it, and leaked that information. Cost of doing business when you’re in the business of watching people and selling the fruits of that spying to advertisers. As I do have travel coming this week, and I’m tired, I apologize for doing into quick-hits mode here, but I need sleep! Dish Network wins in court against Fox over Dish’s ad skipping service. I’m glad when innovation wins. Yet another SWATting happens. Our 911 services are vulnerable and need fixed. ECPA nears a Senate vote. I still don’t think it makes sense that emails held and managed by third parties should require a warrant when the ISP is cooperative, but it seems this overreach of a bill will pass. It wouldn’t surprise me, anyway. Then again, NSA restrictions didn’t even pass the House, so… maybe not. Government must give up spectrum. So it’s good the Defense Department is ready to budge, as FCC is getting ready to sell some off. We heard in House hearings this week though that we need to pressure FCC to allow the broadest possible range of buyers to participate, so that sellers (including private television broadcasters) get the highest possible price in the marketplace. Powerful countries spy, which is why Germany cooperated with the NSA. They spy on us and on the terror threat within, you know. Even if they never like to admit it. Anti-copyright folks and general anarchists Are mad about the Trans-Pacific Partnership. But greater trade and rule of law is a pair of wins for America. I’m always writing in this space about how wireless competition is great. Mike Wendy points out overall competition is strong, too. I’m sorry but there is no reason we need to narrow the private property protections in the CFAA, just because an unstable anarchist killed himself. Hackers need to go to prison. If you can’t do the time, stay off of other people’s computers. Even for “research.” Research your own computer, or get permission. This is common sense. Bradley Manning is no patriot and must be convicted. Also, remember that dangerous Oath Keeper movement? They’re backing that other Wikileaks darling, Edward Snowden. Anyone with access to classified information who signed the Oath Keeper document must be put under surveillance immediately. If it’s not fair use to publish another’s copyrighted work to expose misbehavior, as in the case of KTVU’s idiotic comments after the San Francisco plane crash, it should be. We can fix this in the law if need be. Wealthy white anarchists attack poor Pacific islanders of Nauru, literally threatening their way of life. That’s the bigoted blackshirts of Anonymous, for you. The Anonymous mask is the new white hood, apparently. Dangerous roving gangs of crooks.